Lenovo recently made the availability of its all new Intel Calpella based laptop, named Lenovo IdeaPad Z360.Lenovo recently listed the new Lenovo IdeaPad Z360 notebook at their online shop with a price tag that starts at $849. The new Lenovo IdeaPad Z360 notebook comes in two models-Lenovo IdeaPad Z360 091233U price starts at $849 and Lenovo IdeaPad Z360 091232U priced at $1,049.The notebook comes pre-installed with Windows 7 Home Premium 64bit OS. Lenovo IdeaPad Z360 notebook comes equipped with a 13.3-inch LED backlit display with resolution of 1366 x 768 pixel and is powered with either a 2.26GHz Intel Core i3-350M or 2.40GHz Intel Core i5-450M processor.The laptop houses either an integrated graphics or a GeForce 310M 512MB graphics card. New Lenovo IdeaPad Z360 notebook includes either 3GB/4GB DDR3 SDRAM 1066MHz and a 500GB HDD.Other Features includes Wi-Fi, a DVD writer, Bluetooth 2.1 + EDR, WiMAX and for power option a 6-cell Lithium-Ion battery. 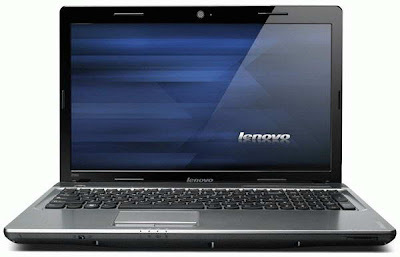 Tags:-13.3-inch, ideapad z360, lenovo, Lenovo IdeaPad Z360 Notebook price, Lenovo IdeaPad Z360 Notebook features, Lenovo IdeaPad Z360 Notebook details, Lenovo IdeaPad Z360 Notebook specifications, Lenovo IdeaPad Z360 Notebook launch, Lenovo IdeaPad Z360 Notebook availability, Lenovo IdeaPad, lenovo ideapad z360, Lenovo IdeaPad Z360 091232U, Lenovo IdeaPad Z360 091233U, lenovo z360, Notebook, z360.